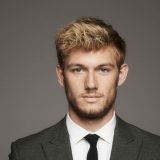 Having propelled to stardom in his role as Alex Ryder in Stormbreaker over ten years ago, Alex Pettyfer has now secured his reputation as an actor to be reckoned with. His first major on screen appearance was at the tender age of 16, and since then, he has gone from strength to strength. Including breaking Hollywood with blockbusters such as Magic Mike and Beastly. Guess what? 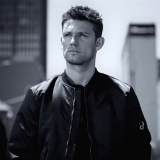 Alex is also the new face of Diesel Fragrances! We’re happy he dropped by to share his tips on travelling light and teeth that stay white! If you want to know what keeps him looking good and smelling great then get your hands on some Diesel ‘Only the brave’, or wake up and smell the coffee scrub! How long do you spend on your grooming routine and what does it include on a daily basis? My routine depends on my mood, I’m afraid that my daily grooming is very boring, shower, shave and go! When preparing for a role or during filming, how do you protect your skin? My skin has been seriously tested when filming! Whilst shooting Beastly I was in full facial prosthetics for 30 days, it was mad! It took 5 hours to get all of the prosthetics on and another hour to take them all off again. But to be fair, I then had a 45 minute facial at the end of every day to help my face recover and my skin felt fantastic by the end! I believe that confidence is more of a mindset, achieved through a combination of being healthy, looking good and being happy. Staying fit is very important for me, either to keep healthy on a shoot or for life in general as I’m quite outdoorsy. Your career demands a lot of traveling, what is your favourite place you’ve visited and why? 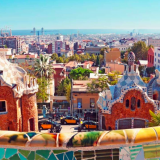 It has to be Barcelona. I love the vibe of the city, how everyone is busy and bustling yet there is an air of calm that invites you to sit at any cafe on the street and sip sangria, theres a sensibility to being lost there. When you’re on the road, which three products can always be found in your wash bag? I like to travel light, so you will always find a whitening toothpaste, a sport proof deodorant to stay fresh and bottle of Diesel ‘Only The Brave’ in my wash bag. I keep my preparations pretty minimal before an event, but I always entrust my hair to Andy Smith London, I know he’ll tidy me up to look sharp. It must be so exciting to be the new face of Diesel Fragrances, what does the brand mean to you? It is! I love the creative visuals of the campaign and the underlying message of unity which it evokes, insinuating that the brand is representative of all men and resulting in fragrances which are versatile yet unique and distinctive. What fragrances do you love on either yourself or others? 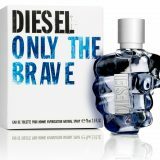 I love the new Only The Brave, its fruity, fresh and smells great on everyone. I think that if light blue was a fragrance it would smell like this! What sort of man do you think Diesel Fragrances represent? I think that Diesel Fragrances are representative of any man (or woman! As it is a very versatile scent), it reacts differently with everyone to compliment your individual character and style. Have you honestly ever pinched any women’s products? And if so, what? 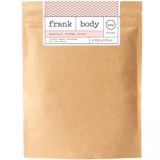 I have to confess that I have pinched some Coffee Body Scrub! Its one of the best things ever, I can’t get enough! They leave your skin feeling so soft and refreshed but they do make a mess of your shower when you rinse it off. Have you noticed men becoming more interested in grooming in recent years? Yes I have, there is definitely a sense of men being more forward thinking with regards to looking after yourself, and with the rise of social media icons are now more accessible than ever to draw style inspiration from. Who are your style and grooming icons? 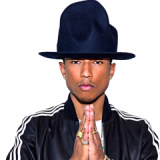 I’ve always found inspiration in David Beckham’s style and Pharrell Williams as they are such stylish guys who never seem to get it wrong! 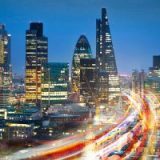 Having worked in both, would you say that there is a distinct difference between an LA look and a London look? I would say that there is a totally different vibe in each city. 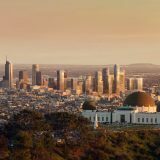 An LA Look is definitely more Boho, but there are even differences between different parts of LA such as Venice compared to Beverly Hills. A London look by comparison is generally smarter than LA and we have to dress for the cold! I have just done this actually! In my latest film Backroads, which I directed, produced and played the lead in. I shaved my head for the role which was quite a change, not many people recognised me at first but it was good fun to try something different. How was your experience of directing, as opposed to being on the other side of the camera? It was humbling, I totally loved it. Directing forces you to think about the bigger picture in the creation of a film, whereas as an actor you only need to focus on your role and lines. I had to think about the overall shape of the film with everything that is seen by the camera which makes it a much more demanding job. I’m definitely keen to do more. Does your own look and grooming influence the creation of a character? This is something I struggle with actually, as people often categorise and cast me based on my look so until my recent work on Backroads I hadn’t had the opportunity to play with my look to develop a character, but it was definitely a refreshing change. Have you ever had any grooming disasters? Be honest! Once I finished with Stormbreaker as a teenager I wanted to rebel against being the Alex Ryder blonde kid, so I locked myself in the bathroom and shaved my head! No one recognised me.